In this article you’ll find the best bookies sign up offers and betting bonuses. Keep reading to learn more about bookmaker offers for new and existing customers, compare the lates bonuses listed here and claim the best free bets from fully licensed online UK bookmakers! From a business model perspective, the gambling industry is starting to look more and more like the banking industry. In every country or region, we can see a few huge players, with large chunks of the market share and lots of customers, a few medium companies, and lots of smaller-tier ones which are all trying to compete over the same people. They’re all trying to attract new customers to their business, luring them with all kinds of things: from the quality of their service to the colour of their website. And, just like in the banking industry, the gambling industry’s new customers are also lured by the prospect of money. With banks, it’s about small commissions and good yields. In the gambling industry, it’s about welcome bonuses. They are, essentially, sums of money that a bookmaker offers a customer (or potential customer) in exchange for certain actions. These actions can range from opening an account and depositing money, to simply opting in for a bonus, passing a certain threshold of money on a customer’s website, or doing some social media actions. Bonuses come in all shapes and sizes, but at the end of the day, their idea is quite simple: you get free money, in exchange for doing something. There is a catch, though: this money can only be withdrawn after certain conditions are met. This is a clarification we want to make from the start, to make sure you understand how bonuses work. The most important difference is between bonus money and real money. Real money are the sums which you can withdraw at any given time and use however you wish. Bonus money is not there yet – it can be used as wagers, sort of like credit, but it cannot be withdrawn until it is transformed in real money. This transformation takes place after the terms and conditions of the bonus are met. Say, for example, that a bookie offers a 100% deposit match bonus, with a 10x playthrough condition. If you deposit £50, you’ll receive £50 in bonus money. This bonus money will only turn into real money after you’ve wagered at least £500 in bets. Simple enough, isn’t it? There are other kinds of sign up bonuses which are a bit more complicated, but nothing extreme. What Kinds Of Bonuses Bookmakers Offer? Before we jump into what kinds of bonuses bookmakers offer, we must answer another question: why do betting sites hand out these bonuses? At first glance, you might think that they’re just throwing money away. But trust us, they’re not. The entire betting industry (and gambling industry, in a wider sense) is a number’s game. Bookmakers have access to huge quantities of data, which they analyze and act upon it. Simply put, they know that giving away a £50 welcome bonus to customers is worth it. This customer might not take full advantage of the bonus, and even if he does, he probably will deposit money after his loses his initial winnings. Remember the bottom line: you win money (and, obviously, the bookmaker loses it) only when you make a withdraw. Until then, you’ve just given him money, and the bonus is pixels on a screen. Deposit-related bonuses come in two main categories: no-deposit bonuses and deposit bonuses. Ironically, they work in a similar manner: the bookmaker grants the customer a sum of bonus money, which turns into real money under certain conditions – usually playthrough, certain odds, and a timestamp. The main differences between the two kinds of bonuses are around the size (no-deposit bonuses are, as you expect, much smaller than deposit bonuses) and the fact that for the second kind of bonus, you have to place some money into your betting account. Deposit bonuses also work for existing customers, while no-deposit bonuses are usually found only for new customers. A typical first deposit bonus in the betting industry works as following: the bookie can give you a 100% deposit bonus, up to £100, and the bonus money turns into real money after you’re played through the sum at least 15 times, on odds of at least 1,4, over the period of a month. Simple, isn’t it? Free bets are a UK standard, although they can be seen in other areas of the globe as well. The main difference is that for UK customers, they’re often seen as welcome bonuses for new clients, while in other parts of the world, they’re usually granted for existing customers in certain conditions. The idea of this kind of bonus is very simple: you place a bet, using a wager which is pre-defined by the customer (usually, £10 or £5). If it’s a winner, it acts like a normal bet. If it’s a loser, the customer will refund the wager. Normally, these free bets are used on odds higher-than-normal, in order to profit as much as possible from the free bet. But remember, the bonus is only good if you win the bet – going for odds like 20 or 30 might not be profitable in the long run. Regardless, you’ll encounter this bonus a lot in the industry. Enhanced odds have gained quite a foothold in recent times, especially since it’s so easy to open an account and place a bet nowadays. They work quite simply too: the bookmaker increases the odds of a certain team or event very much, to determine people to bet on that outcome. Typically, we see odds ranging from 6-7.00 to 10.00, and the winnings are given in the form of bonus money. This bonus is usually given for existing customers, but we’ve seen a couple of brokers give it as a welcome bonus, too. The reason why it’s not so frequent as a welcome bonus is because it’s normally tied to a big sporting event, like a derby, cup final or final days of a season – where the excitement around a specific match or outcome is the largest. Other bonuses aren’t as common but should be mentioned either way. After all, you won’t only encounter the categories listed in this article: bookmakers can get very creative with their bonus offerings, which can be both good and bad. As long as you understand the terms and conditions of the bonuses, though, you should be fine whatever they throw at you. 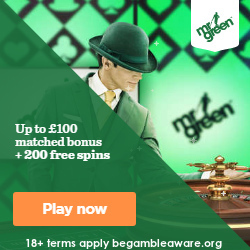 Other categories of bonuses are free spins (usually for companies who have both a sportsbook and a casino), accumulator bonuses/insurance, no-goal draw insurances, red card insurances, and so on and so forth. We could go on for ages, without covering everything there is to cover. But that being said, which is the best bonus? This sounds like a very simple question, whose answer can be either simple or complicated. The simple one sounds like this: the best bonus is the one which gives the most to a given customer. The complicated one has some details on this same topic. Some customers deposit lots of money into their accounts, while others play with little money. Some only bet during weekends, while others maybe make a good few hundreds of bets per month. Some are more impulsive, while others are very methodical and disciplined. Each of these typologies works best with a different kind of bonus. At the end of the day, you have to know your objectives and your betting style, before opting for a broker and its consequent bonuses. How To Claim Bookie Bonuses? The way to claim these bonuses is usually self-explanatory. Most bookmakers nowadays make the steps you need to take to claim the bonus very easy and filled with instructions along the way. Some bonuses are automatically credited to your betting account, while others require some opting in from the user. Typically, this is no longer the issue it was a few years ago, where bookmakers were deliberately unclear on how to access these sums of money. It’s a lot easier now. But there are things to be wary of, still. You could go wrong with bonuses in two ways: choosing a bookmaker based solely on one bonus, and not reading the terms and conditions of bonuses properly. The first one is more of a strategic issue – remember that although the quality of the welcome bonus is very important, there are other things to consider. Just think about it this way – would you like to receive a nice welcome bonus, and lackluster other bonuses for the rest of your relationship with your broker? Of course not. Neither would you want to play with a broker who gives you sub-par odds because you were baited in with a huge welcome bonus. The moral of the story is: do your due diligence when it comes to more things than just the welcome bonus. Second, make sure you read the terms and conditions of any bonus carefully. Remember that a bonus is only good if you manage to win real money out of it, not just bonus money – which means you must fulfil certain conditions. You’ll quickly learn that 10x and 35x playthrough conditions are vastly different, and an obligation to bet on odds of at least 2.00 isn’t so easy to follow. Moreover, if you are used to placing only 1-2 bets every weekend, timestamps might also prove difficult. All these things can be avoided by carefully reading what you’re signing, just like you’d do with any other contract. At the end of the day, make sure you treat every bonus with the importance it deserves – not more, not less. Sure, they’re a great way to get a couple of extra bucks in your pocket and could really turn an average betting record into a profitable one, if used correctly. But on the other hand, you also have to remember that they’re not the only way a bookmaker can ensure you have a good experience, and that’s what matters – that you enjoy betting, whether it brings you money or not.